Players from Manchester United, Manchester City and Liverpool appear the best options for fantasy football managers ahead of Gameweek 23. The action begins this weekend when Wolves entertain Leicester at 12.30pm on Saturday, which means FPL managers need to have their team finalised by 11.30am. The final game of the Gameweek is the 4pm match between Fulham and Tottenham on Sunday. Here are our five players to consider for Gameweek 23. The Manchester United youngster has really hit form since Ole Gunnar Solskjaer took over as caretaker boss at Old Trafford. He has scored four goals in his last five Premier League matches, including the winner at Tottenham in their last match. 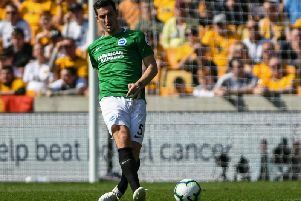 United have won six successive games and on Saturday host Brighton, who have won just four of their 30 away games since promotion to the top flight. The Seagulls will hope to make it a tight game - like they did in their 1-0 loss to Liverpool last time out - but United are playing confident and free-flowing football under Solskjaer, who will be targeting a seventh consecutive victory. Rashford costs £7.4m in FPL and £10.4m in Sky and has returned 86 and 95 points respectively this season. United midfielder Paul Pogba is also worth considering. He has returned 54 points in FPL and 71 in Sky in the last five Gameweeks. If you're looking for points at the back, a Liverpool defender is a must. The Reds have kept 13 clean sheets in their 22 Premier League games and have conceded only ten goals. Van Dijk leads the way with 113 points in FPL and 169 in Sky, and costs £6.4m and £9.1m respectively. Liverpool have a run of fixtures where you could see more clean sheets on the horizon, with games against Crystal Palace, Leicester, Bournemouth and West Ham coming up. Left-back Andy Robertson is a good alternative, while it would take a brave fantasy football manager to not have one of Mohamed Salah, Roberto Firmino or Sadio Mane when Liverpool host Crystal Palace on Saturday. The Brazilian winger has been dropped by a lot of fantasy football managers in the last couple of weeks but it may be worth giving him one last chance this weekend. The Hammers travel to an out-of-form Bournemouth side, who have kept just one clean sheet in their last 12 Premier League games and won only two of those matches. The Cherries have conceded 17 goals in five games and West Ham will head into the game full of confidence after beating Arsenal last time out. With question marks remaining over how much longer Marko Arnautovic will be with the Hammers, Anderson appears a sensible option to consider for the match at the Vitality Stadium. He has scored eight goals and provided three assists this season and has returned 108 points in FPL and 121 in Sky. He costs £7.3m and £8.7m respectively. Watford have scored in each of their last eight Premier League matches and sit seventh in the table ahead of hosting Burnley on Saturday. After missing the start of the season through injury, Deulofeu has impressed in recent weeks and has scored two goals and provided two assists in the last six Gameweeks. He also hit a post early on in the Hornets' 2-1 win at Crystal Palace on Saturday and Watford look a real attacking threat when he plays alongside the likes of Roberto Pereyra and Troy Deeney, who are also worth considering. Deulofeu has 55 points in FPL and 63 in Sky this season and costs just £5.5m and £7.7m respectively. A Manchester City attacking player is almost a must every Gameweek and on Sunday, City travel to Huddersfield who are managerless and bottom of the Premier League. You can make arguments to include any one of several City players - but this week we've gone for Raheem Sterling. By his high standards, Sterling has maybe had a quiet couple of weeks but has still provided an assist in each of City's last three league matches. You can easily see him causing the Terriers defence all sorts of problems at the weekend. Leroy Sane, David Silva and Bernardo are also good options, while Kevin de Bruyne will have to come into fantasy football manager's minds once he's back up to full fitness and starting week in, week out. It's hard to call who will start out of Sergio Aguero and Gabriel Jesus up front for City, which is why we've picked Sterling this week. He has 133 points in FPL and 136 in Sky and costs £11.3m and £11.5m respectively.